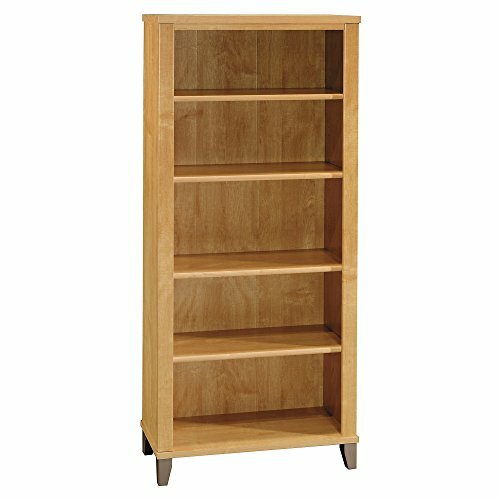 Turn your space into a personal library with the Bush Furniture Somerset 5 Shelf Bookcase in Maple Cross. 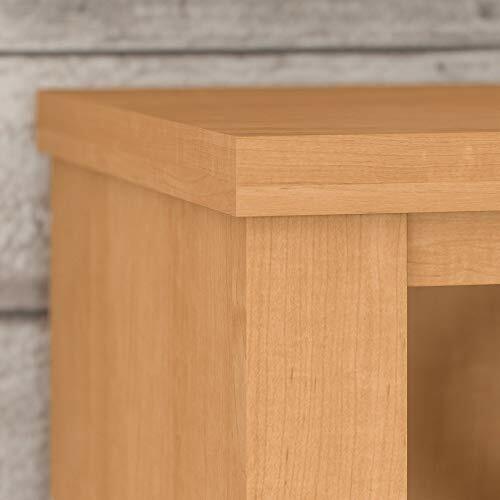 With a tapered leg design and beautiful Maple Cross finish, this bookshelf will complete your home office appearance. Two shelves are fixed for structural strength, and three are adjustable so your items are sure to fit. Bookcase is as tall as a Somerset Desk with Hutch combination for a coordinated appearance. Sturdy, durable laminate construction helps you display books, knickknacks and more for years to come. This quality furniture comes with a 6 Year Manufacturer's Warranty and meets ANSI/SOHO test standards for safety and performance. See the full collection for coordinating items available. American made with U.S. and imported parts.